Bookkeepers help businesses with day-to-day accounting, recording important business transactions that are worthwhile. In short, they are influential people who are assigned the most important task: record, maintain, and update business transactions as they develop. But, is this evidence sufficient to hire a bookkeeper? There is no denying the fact that bookkeepers are an invaluable asset for a business. Large-scale businesses who have an enormous amount of daily transactions hire multiple bookkeepers who track and record every single business transaction happening throughout the day. The synergy between all bookkeepers working for a single firm needs to be present in order to achieve high business efficiency and productive outcomes. The point is, small entrepreneurial ventures may cater their daily bookkeeping needs from a software or spreadsheet, but, when the business grows, the bookkeeping needs also grow, which means it’s time to hire a bookkeeper. When the right time to invest in hiring a professional bookkeeper is depends on multiple factors; when you find it hard to spare time for bookkeeping day to day business transactions, the size of the business grows, the frequency of business transactions increase, reconciliation of records becomes a mess, there are a lot of discrepancies in records, and certainly when the need for a professional bookkeeper becomes evident. Gone are the days when you had the option to delay your bookkeeping activities for a couple of days or even a week as the frequency of transactions was low. Now, you can never even think of delaying bookkeeping activities at all. Why? Because it will lead to disaster. In order to hire a bookkeeper, you need to search for viable options, those you see the potential in to deliver the best results. Since the entire business depends on accurate bookkeeping records, you need to make sure that you hire the best suitable person for your daily tasks. Although, it is true that DIY bookkeeping software is a cost-effective solution that can help deliver desired results, they are still not the ideal choice for most business owners. Investing in a bookkeeper proves to be the right strategic choice since they can provide you with clear insight for wise decision making and future planning. In short, when you should hire a bookkeeper can be answered with a well-acclaimed thought ‘the sooner, the better’. It’s a very wise idea to hire a bookkeeper to handle core business responsibilities such as recording of daily, weekly and monthly sales, invoices received from vendors, invoices sent to customers, expense receipts, and wages for payroll, etc. When a business grows, you are likely to require services of professional bookkeepers who, besides recording and categorizing every business transaction, will also reconcile the books at the end of each working day. The best thing about professional bookkeepers is that they know the art of creating and maintaining a healthy financial life cycle. Future predictions and strategies will be based upon bookkeeping records—the more accurate they are, the healthier the results will be. 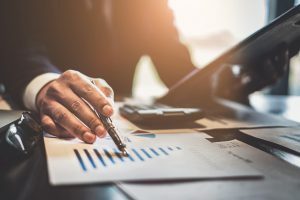 To make the right decisions for your firm, you need to hire a bookkeeper who will ensure your company’s growth and success with their knowledge, skills, and experience. Hiring a professional bookkeeper doesn’t have to come at a high price. Professional bookkeeping services are only believed to be pricey, but they are not. All that you need to do is make the right choice that fits your business needs and requirements and the results will prove to be significant. Whatever you invest in, hiring a bookkeeper will pay you off in the long run, time and time again.